We all know that Microsoft Windows Operating System is the most popular and most used operating systems in Desktop and laptop computers. But, do you know about the evolution and history of Windows? The Microsoft Windows is just like “one man army” in the field of operating systems because the company is efficiently providing Windows operating system services from past 30 years and people are happy with it. Even after independently ruling the operating system industry from years, the Microsoft Windows is still the most powerful and beneficial OS provider. In this high technology era, the expectations of people have extremely grown up and they are ready to grab all the advanced services quickly. But Microsoft Windows Operating System is still the king of the game. For the example, you can see the Microsoft’s newly released Windows operating system “Windows 10“. Windows 10 is the most advanced, full with features, fast and attractive operating system of Windows. If you are using Windows operating system from years, but still not familiar with the History of Microsoft windows operating system then you must take advantage from the below-mentioned glimpse of Microsoft Windows Operating System history. Most of us know very well about the founder of Windows operating system and the most popular Windows operating system by Microsoft. But very few of us know – What was Microsoft’s first operating system? And, In Microsoft windows how many types of operating systems are there? The first version of Microsoft Windows (Windows 1.0) was released on November 20, 1985. It was one of the most surprising moments for all computer users because now they were able to move a mouse to point and click their way through the screen in the place of typing MS‑DOS commands. Windows 1.0 was introduced with several basic programs like MS‑DOS file management, Paint, Windows Writer, Notepad, Calculator, and a calendar, card file, and clock etc. Even a game called “Reversi” was also included with the Microsoft’s first Windows operating system. Just after the two years, Microsoft released Windows 2.0 on December 9, 1987. 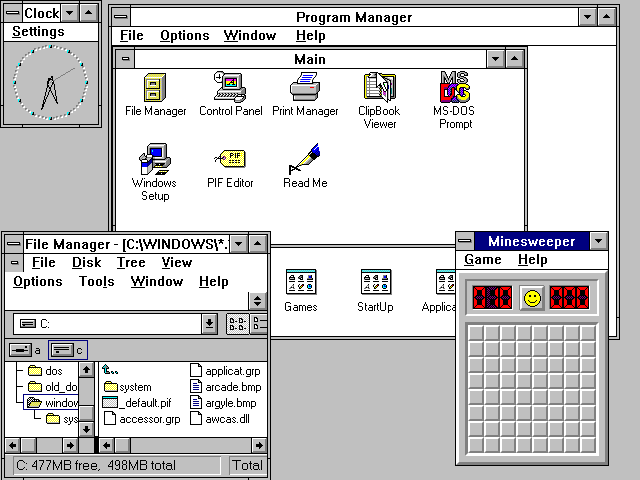 The second version of Windows was introduced with desktop icons and expanded memory. 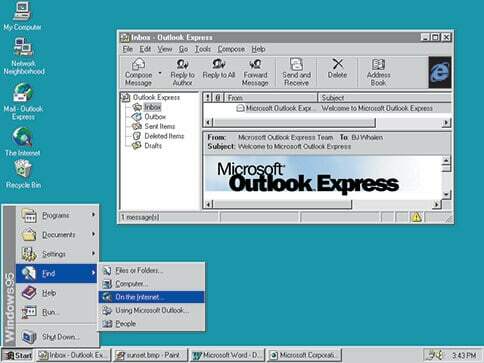 Along with the Windows 2’s improved graphics support, now users were able to overlap windows, manage the screen layout, and use keyboard shortcuts etc to speed up their work. 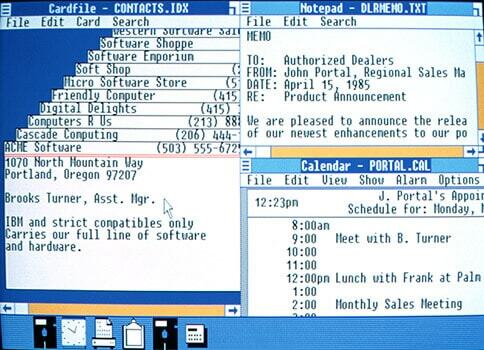 The most interesting thing, Control Panel made its first appearance in Windows 2.0 operating system. 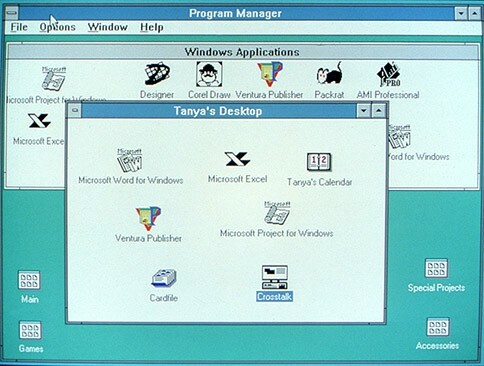 After launching two successful versions of Windows, Microsoft made an announcement about its third operating system (Windows 3.0) on May 22, 1990. This new Windows operating system was quite popular because of its good performance, advanced graphics with 16 colors, and improved icons. Windows 3.0 was released with full support for the Intel 386 processor, Program Manager, File Manager, and Print Manager etc. With this OS, all the programs were running noticeably faster in comparison to other older versions of Windows. Windows 3.1 was released in 1992. Basically, Windows 3.1 was the updated version of Windows 3.0. People felt attracted towards it because Windows 3.1 required only 1MB of RAM to run and allowed all supported MS-DOS programs to be controlled with a mouse. Addition to all these things, Windows 3.1 operating system was also the first Windows version to be distributed on a CD-ROM. Microsoft Minesweeper’s appearance was another interesting thing. After the three years of accurate observations of users activities, Microsoft released the new version of Windows called “Windows 95” on August 24, 1995. Windows 95 was the first Windows operating system that came with a Start button and Start menu. The most exciting thing, Windows 95 was built with Internet support, dial-up networking, and new Plug and Play capacities that allow installing hardware and software easily. Windows 98 was the last version of Windows based on MS‑DOS which was released on June 25, 1998. It was designed specifically for consumers. Windows 98 was the first version of Windows that introduced back and forward navigation buttons and the address bar in Windows Explorer, among all other things. Along with the support for reading DVD discs and universal serial bus (USB) devices, it came with many other improved features that help users to open and close programs more quickly. Technically, Windows Me (released on September 2000) was specially designed for home computer use. It provides countless music, video, and home networking enhancements and reliability improvements compared to all previous versions of Windows. Also, the Windows Me Edition was the last Windows operating system to be based on Windows 95 code-base. Windows Me landed with many helpful features like System Restore, Movie Maker, Microsoft Windows Media Player 7 technologies etc. Windows 2000 Professional is the enterprise twin of Windows Me which was released on February 2000. It was based on Microsoft’s business-oriented system Windows NT Workstation 4.0 and later it became the basis for Windows XP. 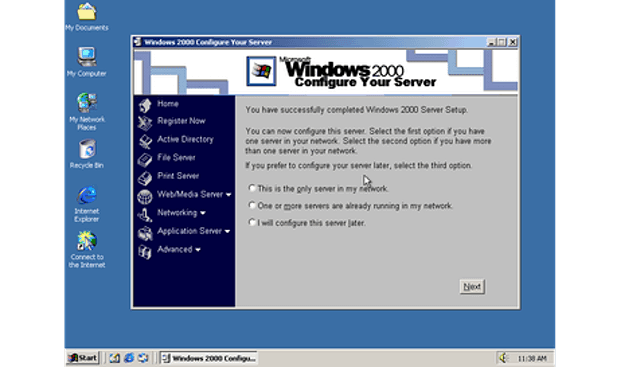 Actually, Windows 2000 Professional is specially designed to replace all other old versions of Windows including Windows 95, Windows 98, and Windows NT Workstation 4.0 on all business computer desktops and laptops. Concretely one of the best Microsoft’s Windows versions, Windows XP was released on October 2001. The redesigned look and feel with great accessibility and a unified Help and Support services center made this operating system more awesome. Windows XP was also the longest running Microsoft’s Windows operating system. Windows XP was really quite stable, usable, and fast in all ways. It was available in 25 different languages. Navigation simplicity of the Start menu, taskbar, and Control Panel are more intuitive. Windows XP operating system has several editions like Windows XP 64-bit Edition (2001)| Windows XP Media Center Edition (2002) | Windows XP Tablet PC Edition (2002). After the 6 years long journey of Windows XP, Windows Vista was released in 2006. Windows Vista was specially security focused operating system which was available in 35 different languages. System design plays a big role in Windows Vista, many features like the taskbar, Start button, Search menu received a brand new look with this operating system. Windows Vista was introduced with the new features like speech recognition, Windows DVD Maker and Photo Galler etc. Addition to these things, it was also the first Windows version to be distributed on DVD. Undoubtedly, Windows 7 is faster, more stable and easier to use. According to the Wikipedia’s usage share of operating systems list, Windows 7 is the most used Windows operating system on Desktop and laptop computers. In order to get more interesting guide related to Windows 7 operating system, check out our Windows 7 Tutorials section. 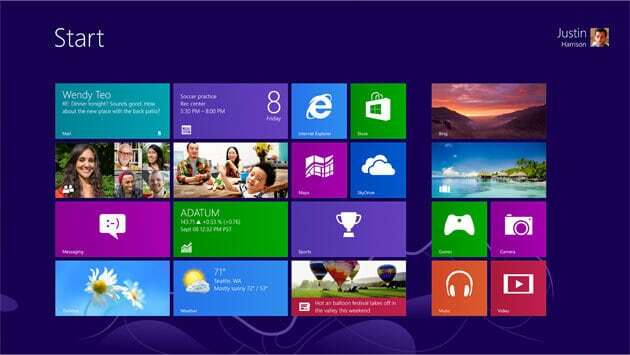 Windows 8 was Microsoft’s most good looking and colorful operating system released on October 2012. Windows 8 was the first version of Windows that come up with a totally new interface that works quite smoothly for both touch and mouse and keyboard. It features a Start screen (updated Start menu) with apps and tiles that connect to people, files, apps, and websites etc. 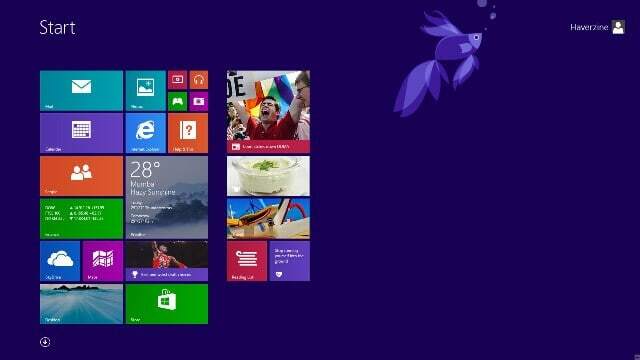 Windows 8.1 is the advanced version of Windows 8 operating system introduced in October 2013. It offers a powerful collection of Windows apps and cloud connectivity on most of the compatible devices. It comes up with some interesting improvements and new features like changes in user interface and desktop, apps, online services and functionality, security and hardware compatibility, hardware functionality etc. Windows 10 is the newly released (July 29, 2015) Windows operating system of the Microsoft. Windows 10 operating system is the most advanced version of Microsoft Windows which is introduced with a number of new features like Cortana, the Microsoft Edge, The Start menu, Windowed Windows Store apps, Virtual desktops/Task View, Action Center, Revamped core apps, The Xbox app, Continuum, Unified settings, and much more. Windows 10 offering free upgrade to Windows 7 and Windows 8.1 users for the first year. So, if you are using a genuine version of Windows then you can easily upgrade to Windows 10 for free from Windows 7 or Windows 8.1 operating system. If you want perform a clean Windows 10 installation, you can do it by creating Windows 10 bootable USB flash drive. Thus, you can see how amazingly Microsoft Windows operating system received the exclusive designs, features, new services, and well optimized structures. I am quite sure, you found the above mentioned glimpse of Microsoft Windows Operating System history useful for you.